After setting up the item type you can start adding item properties. For item type Person properties are: Person. Use Input Fields section for setting up most of the item properties. Some of the properties don’t require any manual settings. Images are one of them. 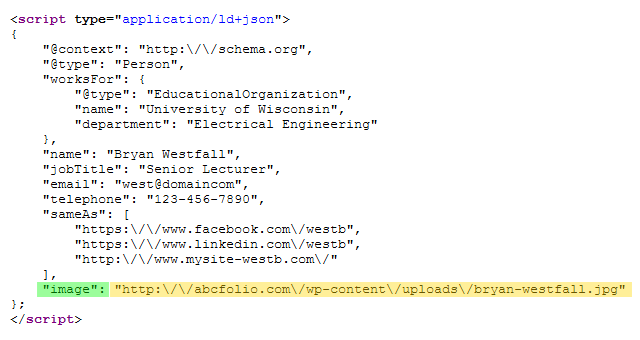 Required URLs are populated directly from staff members data. 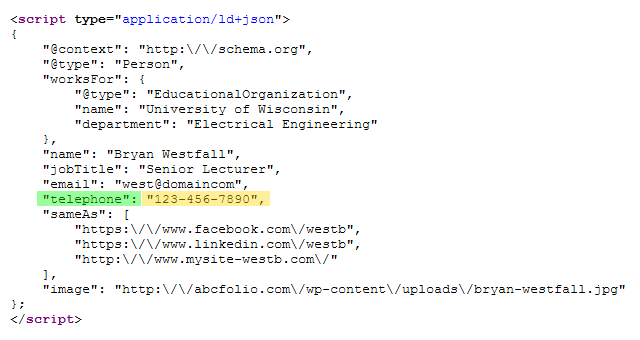 Social links are populated directly from staff members data. There can be more than one item. All are listed under sameAs property. 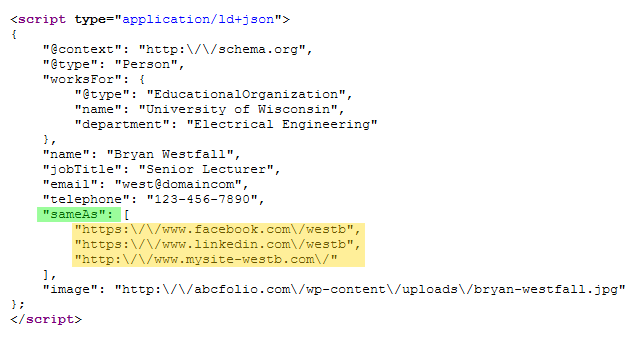 It contains URLs of referenced Web pages that unambiguously indicate the item’s identity: the Facebook page, LinkedIn entry, or personal website.